There is no region with as much sudden success as the Willamette Valley of Oregon. The first vines were planted by David Lett at The Eyrie Vineyards in 1966. By 1980 there were a couple of dozen wineries. Now there are hundreds, producing what many believe to the best Pinot Noirs in the world. 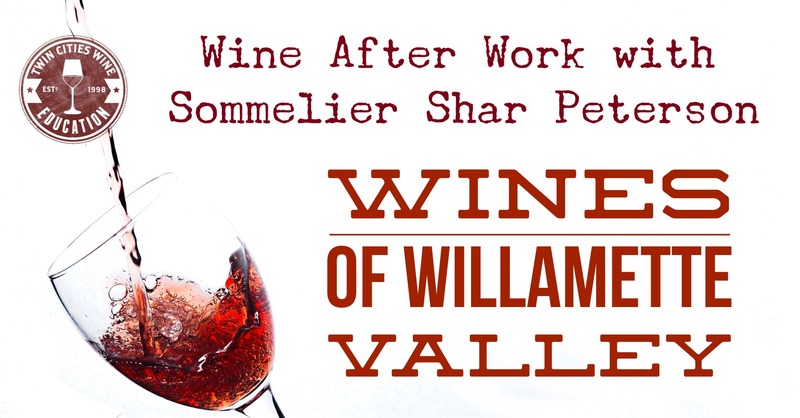 Join us for a special Wine After Work class with sommelier Shar Peterson, examining the Willamette Valley in terms of history, terroir, travel, and getting bang for your buck. Shar is just coming off a trip to the valley and will have current information on the best restaurants and incredible wineries to visit.